Length about 5mm and very active. Found hunting on gray and white twigs of Velvet Mesquite. Maricopa Co., Arizona. May 25, 2014. 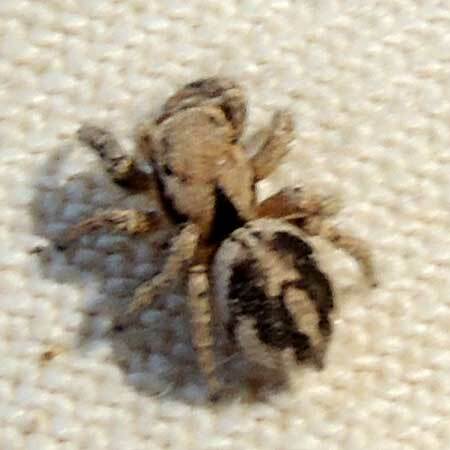 Active spiders that hunt by day using their keen eyesight and without the aid of a sticky snare. The gray or white and black pattern works well to conceal them when moving along the twigs of trees and shrubs. Salticids jump on their prey insects from several centimeters away.